CosmoBC.com » HomeBlog » Basement » How To Add An Extra Kitchen In The Basement? When people think about renovating, remodelling, or simply rebuilding their basement spaces, kitchens are one of the most common choices. If you have faced the idea of basement remodel, then you should understand that it will require some time for measuring everything perfectly and to install all equipment there. But no matter how much time it takes, because it will pay you back. 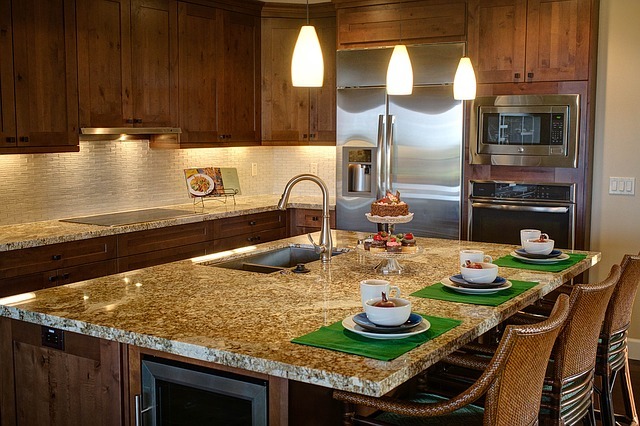 In this article we collected several most important points you should keep in mind when creating a new kitchen in your basement. Ventilation is one of the most important concerns to be taken care of in the basement spaces. According to professional basements contractor Guy Solomon, basements in general lack natural ventilation as well as windows, so you will need to install an electric chimney or at least kitchen extractor fan to ensure that no kitchen smells go into the rest of the space and home in general. The second important thing to take care of is fire safety. In the basement you might face an issue of fire emergency exit; this is why it is highly advised to cooperate with a professional contractor who will be able to come up with a solution for your specific case. Do not forget to install fire safety alarms as well as fire extinguishers on the way to the basement and in the basement itself because statistically most home fires start exactly from the kitchen. As a rule, you will have concrete floors in your basement which means that they will be cold. If you would like to make them warm you can either install warm flooring system (which is highly advised for basements) or at least add a layer of other flooring, such as wood or tiles. Keep in mind that putting rugs in the basement is also a great idea, but not for the kitchen. If you are tight on budget then consider taking your main kitchen’s furnishing and, for instance, painting it in order to save some money. In this way you will be able to both build a new kitchen in the basement and also renovate your upper kitchen with new cabinets. Most drains of a home are situated in the basement so you should not have any problems with installing a kitchen sink or connecting any washing appliances. Just like drains, all wires of your home is placed in the basement. But professional contractor Guy Solomon warns home owners about the possibility of overloading the network. Make sure that when you add load of new appliances from your new kitchen you use a separate branch of your wires not to cause fires and overloads. At this point keep in mind, that if you have never done such projects in your life, it is very much advised to at least consult a professional electrician in this respect. If you follow all the tips above, you will be able to add a new and safe kitchen in the basement.